In Smithville, Texas, Brian, Abby, Travis and Danny are classmates of the Smithville High School and best friends. 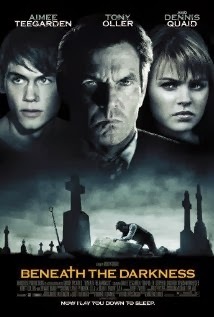 One day, they are reading Macbeth for a class and they decide to investigate the rumors that the house of the mortician Ely Vaughn is haunted by ghosts. Aweful B-movie. Even Dennis Quaid couldn’t bring this crap movie to a higher level. Forget this silly affair!